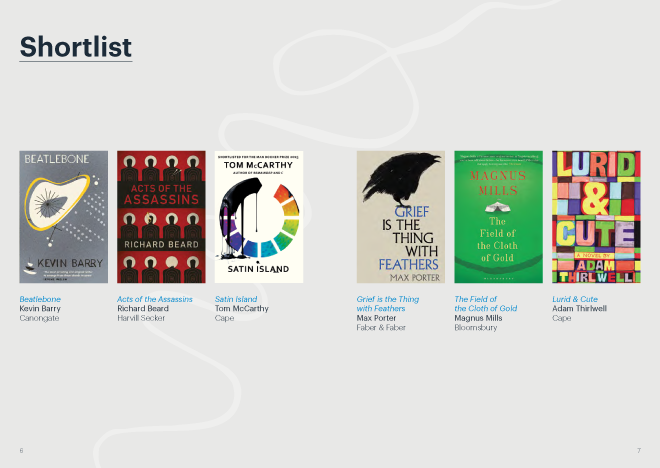 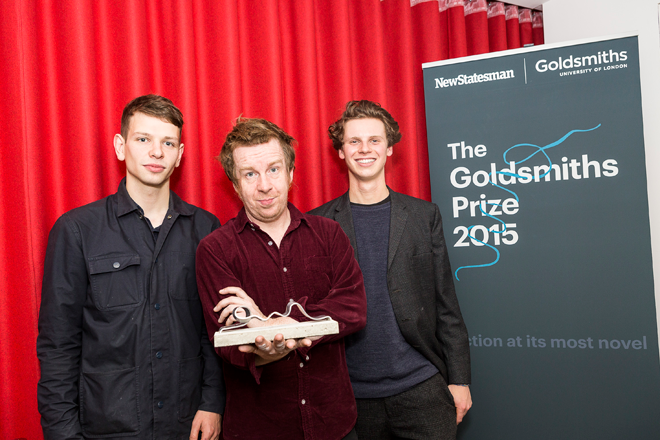 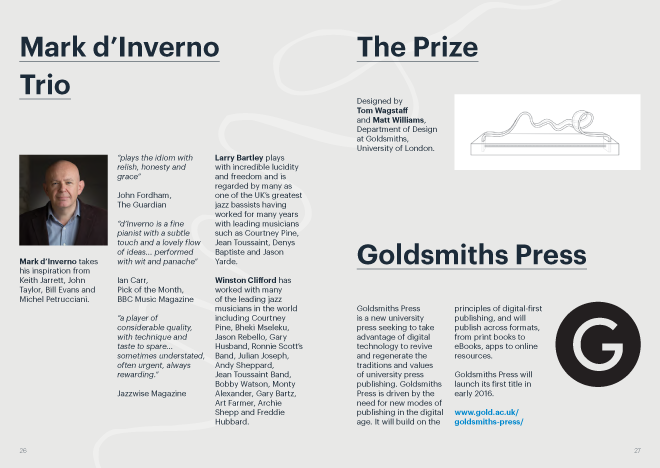 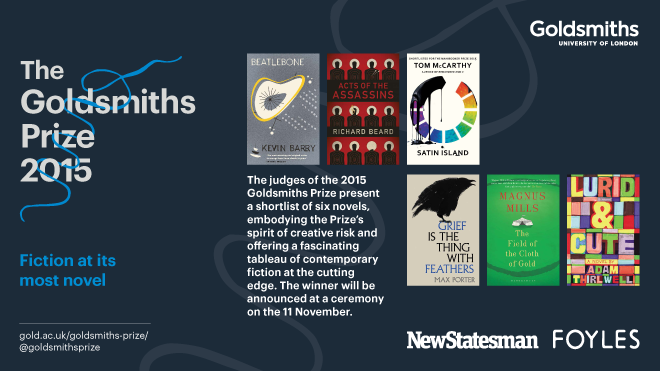 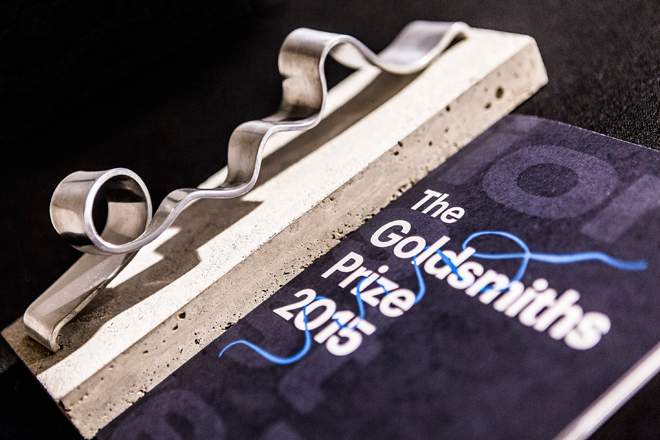 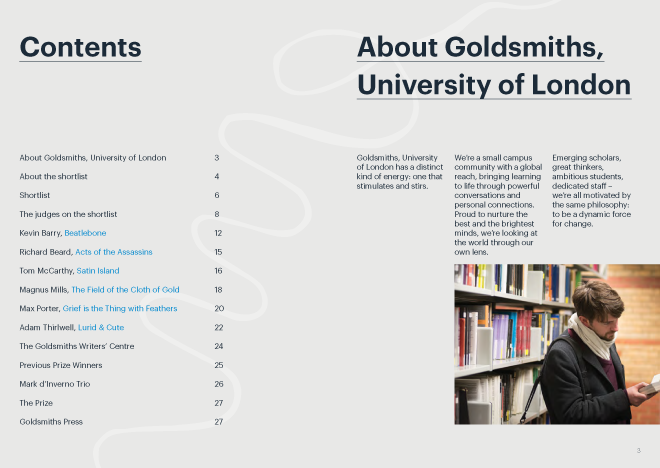 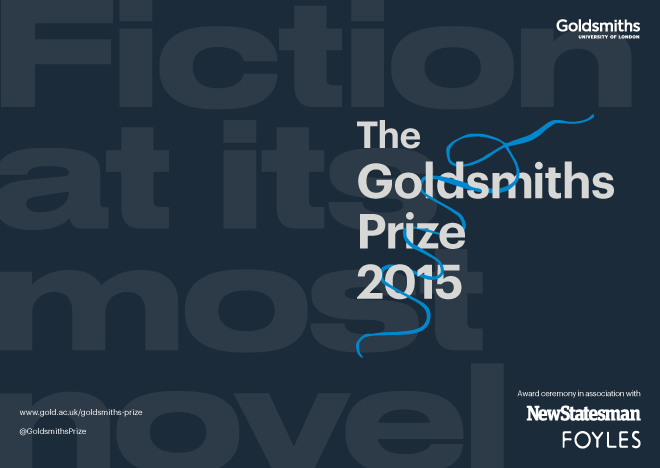 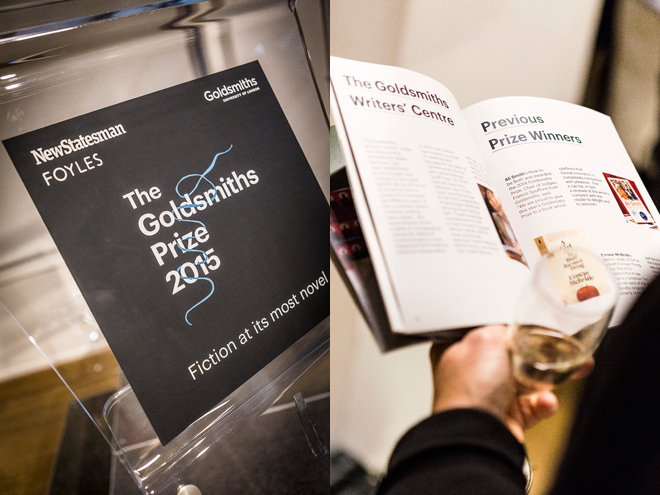 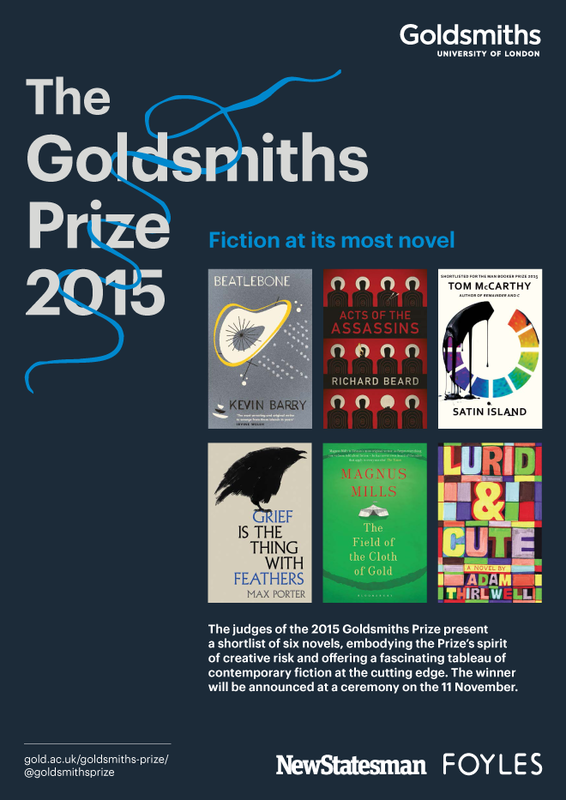 The Goldsmiths Prize was established in 2013 to celebrate the qualities of creative daring associated with the University and to reward fiction that breaks the mould or extends the possibilities of the novel form. 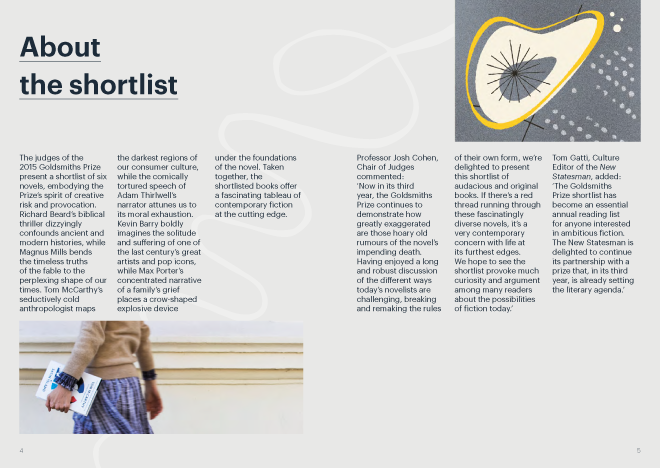 The annual prize of £10,000 is awarded to a book that is deemed genuinely novel and which embodies the spirit of invention that characterizes the genre at its best. 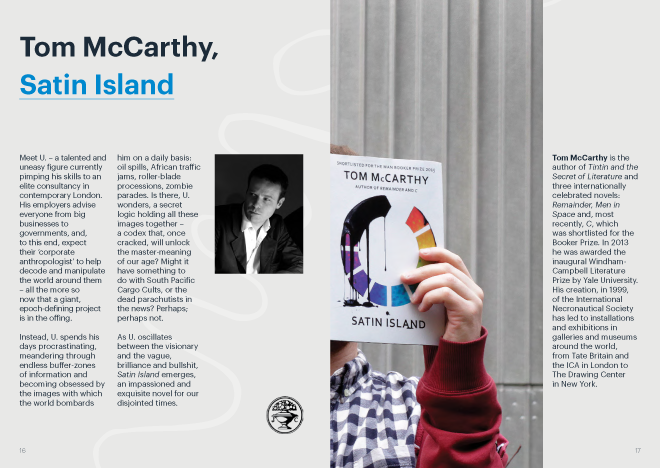 For this event, I provided marketing materials together with designer, Ted Low.